At Practical Cycles we have long been champions of dynamo lighting for bicycles. Dynamo lighting does not require any batteries or any recharging. By way of a small dynamo in the front hub or an external dynamo that is activated by the tyre sidewall, your bicycle can generate power as long as it is moving. This means that banana you had for breakfast can not only fire the mitochondria in your cells to turn your pedals but it can also , indirectly power the lights that pierce the morning gloom of an October morning (and beyond!). we think that is just about the most efficient way of lighting your route to work or wherever. Anything but dynamo lights require some kind of internal battery that you either recharge or throw away. The chemicals involved in producing this and that are discarded when it is used up are being used unnecessarily. rechargeable and battery-powered lights are simply inefficient in the way they are produced, used and discarded. They are also time hungry too. Having to change batteries, and plug-in lights is just one other thing to do on winter evenings after you return home from work. Heck, if your commute is long enough you may need to do the same when you arrive at work! And remembering is also a pain. The evening you forget to charge or change batteries means the morning after is going to be a dark one. Converting from battery/rechargeable lights to dynamo lights can be daunting in terms of what to get, how it works and the cost. But none of these things need be a barrier to converting. A decent lighting system can be had using just a bottle dynamo, a couple of wires a front and a rear light. You can do this for under £100.00 and it can be fitted in less than half an hour with n need to ever remove it. This system will be more than adequate for the cyclist who rides on lit roads but for those who ride fast and on unlit roads, a hub dynamo is best as more powerful dynamo light s can be used with a hub dynamo as it produces more power (and more efficiently). Modern hub dynamos are smooth, light and offer very little resistance at the hub. Having a hub dynamo means a rebuild of your wheel. this can be done for as little as £100.00 if you keep the same rim. You then need to factor in the cost of front and rear lights )both of which are powered by the dynamo. 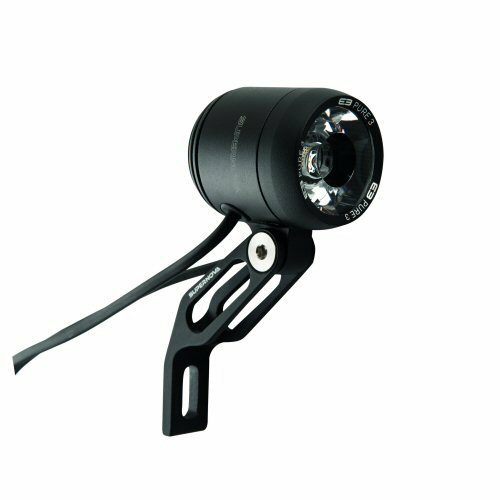 For less than £200 you can have high-powered lights for dark and fast riding that you will never need to charge or replace. You can even power other things from a hub dynamo – such as mobile phones, satellite navigations devices and even your tablet – yet more power and money-saving. 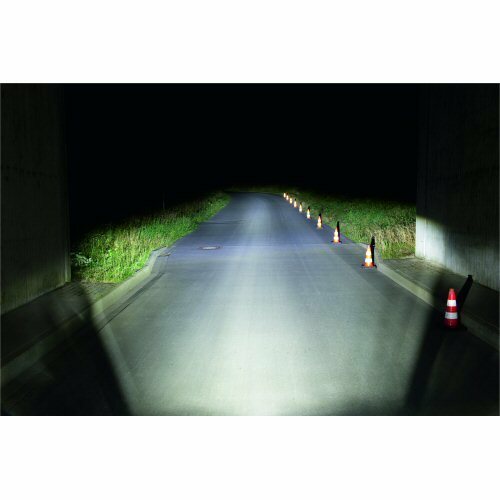 Theres a huge range of dynamo lights out there and we have a great range of lights, hub dynamos, bottle dynamos and all the fittings needed. 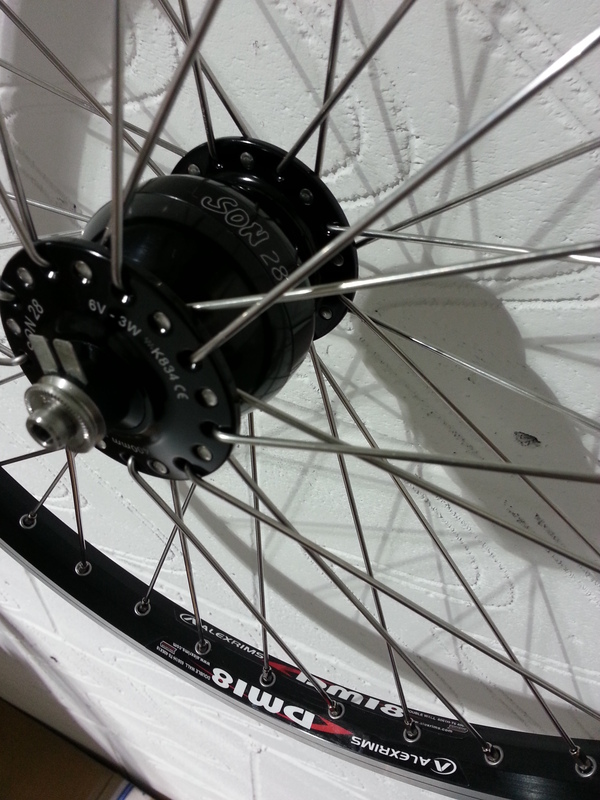 We can even build your hub dynamo wheel for you. Lights from Busch and Muller, Supernova, Reelight and Union cover a wide-ranging price point from the basic to the super high-powered types.